I think we have already established that I love mimosas. I am always eager to try out something new in that category. I am also kind of cheap, especially right now when money is a little tight. A couple of weeks ago, my friends asked me to housesit and petsit for them while they took the kids away on Spring Break. When Sunday rolled around, I was craving my mimosas, but wasn’t in my neighborhood for my usual brunch stop. I decided to treat myself while I was there and discovered the joys of moscato mimosas. I was inspired to make mimosas because they had left me a brand new jug of orange juice. Plus, it has become a Sunday tradition. I went about my business, picking up a few groceries for the week and then stopped in at one of the liquor stores. While I was perusing the wine and champagne selections, I noticed my old standby, Andre champagnes. Yes, it is a cheaper sparkling wine. I flashed back to my college days, because we thought we were oh so fancy drinking it. Plus, at around $5 a bottle, how can you go wrong? It fits in my current budget! And, I figured, even if it didn’t have the greatest taste in the world, it doesn’t matter, because it is getting mixed into orange juice. I’m not drinking it straight. 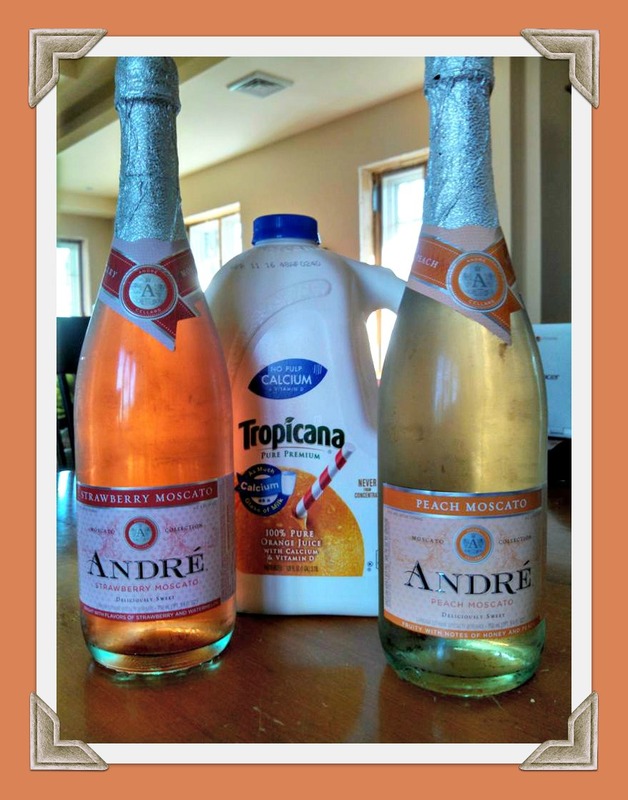 Somewhere along the line, since my college days, Andre has come up with a couple of flavored options. I saw they had a peach moscato sparkling wine and a strawberry moscato sparkling wine. 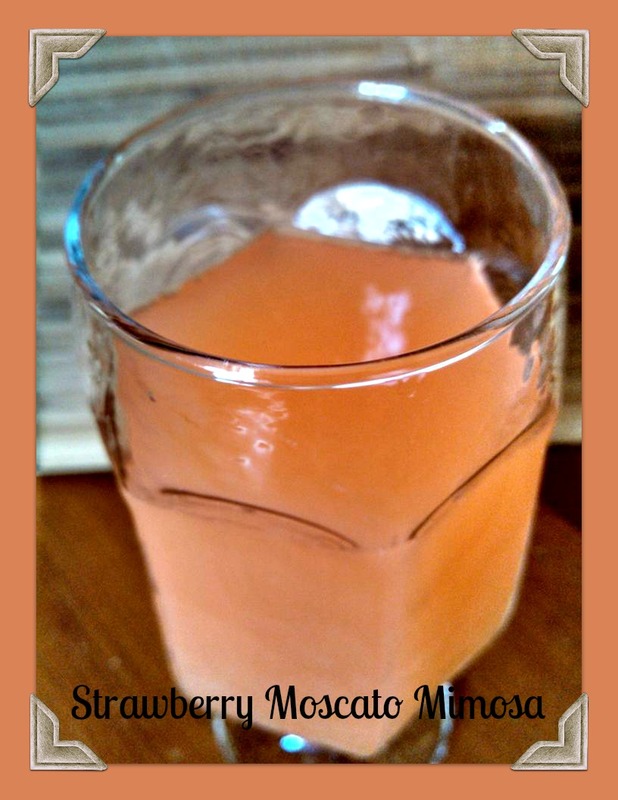 If you know anything about moscatos, those are very sweet. Drier wines usually appeal to my palate more, but something sweet could work with the orange juice. I got one bottle of each and went back to the house. Sampling started with the strawberry sparkling wine. It definitely had that strong, sweet strawberry flavor. When I mixed it into the orange juice and took a sip, it was fantastic. Great flavor, not overly sweet, just the right amount of fizz. And how easy with just two ingredients? Now, I am not a fancy person, either. I am not going to go all out with the garnishes, etc., like so many others do, especially not when it is just me. However, if I wanted to dress this up when presenting it to friends at some kind of a get-together, I would definitely consider impaling whole strawberries on the side of the glass. I also think this combination would be really good with a mix of pureed strawberries mixed in with the juice. That is on my list to try sometime in the future, as well. 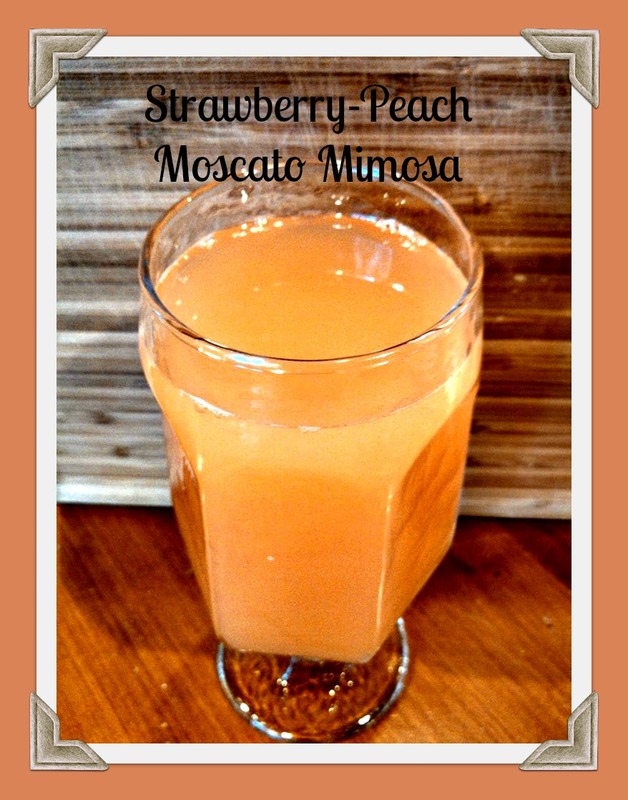 As the end of the bottle of strawberry moscato approached, I decided to sample a mix of the strawberry and the peach moscato mimosas. It made such a pretty orange color and again was fantastic in the orange juice. The blend of strawberry and peach made me feel so summery, despite the cold weather and snow outside. This one would also probably taste really good with some strawberry and/or peach puree and would look good with a strawberry garnish. After consuming the mixture, I sampled the peach sparkling wine. Just like the label said, there were definite hints of watermelon in it. It really tasted just like summer. So, I can definitely say that I will be getting these two flavors of Andre again as the weather gets warmer. 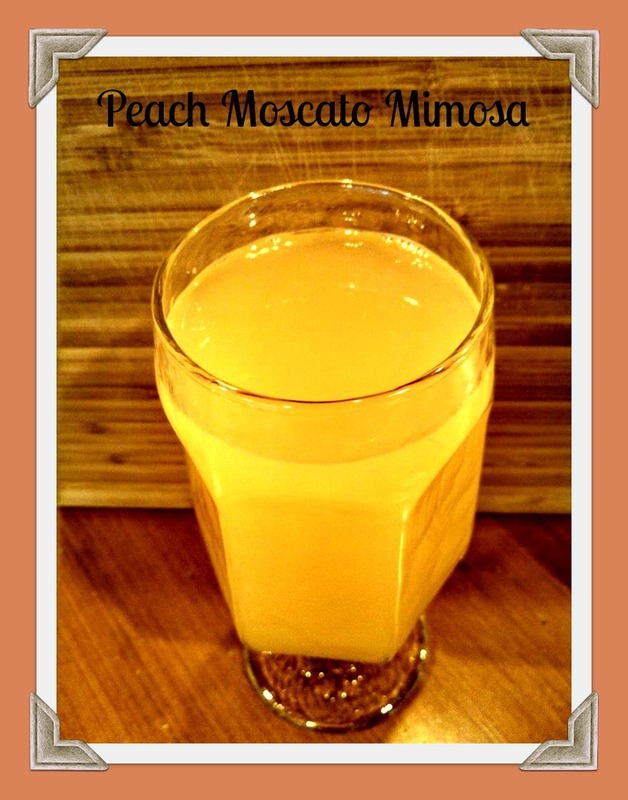 When I made the peach moscato mimosa, it was, again, a light, summery feeling that made me happy. I promise it wasn’t just that contented bubbly champagne feeling. Moral of the story? Moscato mimosas are a lovely way to pass a Sunday afternoon. They are not too sweet. They remind you of a warm summer day. They would also be good if you added in some puree. I would even be tempted to try some other add-ins, like Chambord or even tequila, like I saw in my round-ups. I think there may even be a couple of other flavors of sparkling wine to try. Trust that I will do so and then will report back. Interested in other kinds of cocktails? Follow my Drinks Pinterest board for even more inspiration. Let me know what you try and what you like!